Cosmetic dentistry in Redwood City uses procedures and restorations to make your smile look better. It includes teeth whitening, inlays and onlays, crowns, porcelain veneers, bonding and smile makeovers. Though essentially used to improve the overall look of your shape and smile, several cosmetic dentistry procedures have other benefits as well. Cosmetic dentistry’s cost in Redwood City depends on what procedure is right for your issues. They range from the low end of the scale — teeth whitening — to the high end — porcelain veneers. When you visit Redwood City Family Dentistry at 1130 Hopkins Ave., we evaluate the issues you are having with your smile and decide which cosmetic procedure is right for you. We work with you and your insurance company to develop a treatment plan that fits any budget. We take time to explain your dental benefits. Cosmetic dentistry procedures can make you feel better about life. It has been proven that those who feel more confident about how they look feel happier and more content with their lives. If you have any issues with your teeth such as chipped teeth, discolored teeth etc., you can turn to cosmetic dentistry. There are procedures that can treat almost anything. Plus, your new or improved teeth will look just like your natural teeth making it difficult for others to guess you’ve had any work done. Also, as mentioned earlier, the advantages are more than just aesthetic. For example, teeth whitening rids your teeth of stains and helps you smile gloriously. This will also open more doors for you allowing you to try more career options (modeling etc.) and feel more confident. Similarly, crowns get rid of large cavities or broken teeth. Veneers close up spaces between your teeth. Bonding fills the cracks in your teeth, preventing infections into your roots. How Is Cosmetic Dentistry Performed? When you visit the dentist to perform cosmetic dentistry procedure, you have a choice of restorations. What he chooses will fit the problems of your mouth. If you have discoloration that is not inside the teeth, he will recommend teeth whitening procedure, which is performed using hydrogen peroxide. If you have broken or chipped teeth, he might tell you to get porcelain veneers, which is performed using a thin shell. If you have a large cavity, he might tell you to be fitted for a crown, which involves manufacturing an exact cap for your tooth. Cosmetic dentistry complications depend on which method is used. Most cosmetic dentistry procedures are pain free, however some may result in mild pain. But it is temporary and can be treated with the help of medicines. Visiting the dentist in Redwood City will solve the issues with your teeth and make your smile beautiful. Call for a consultation to determine which cosmetic dentistry procedure is right for you, 650-367-8833. You should ask Dr. Savage what is the best method for your teeth or visit Redwood City Family Dentistry on Hopkins Avenue for a consultation! 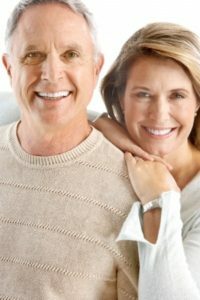 Cosmetic Dentistry Redwood City Family Dentistry. At Robert Savage Dental Care, our Cosmetic Dentistry Services are more than simply cosmetic.